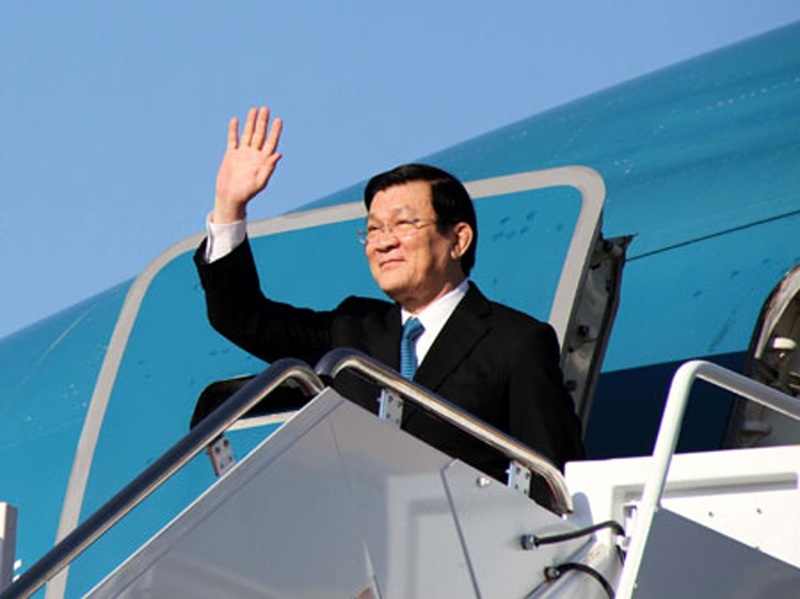 HA NOI (VNS) — President Truong Tan Sang leaves Ha Noi today for Indonesia to attend the Asian-African Summit, a commemorative event on the occasion of the 60th anniversary of the 1955 Asian-African Conference and the 10th anniversary of the New Asian-African Strategic Partnership. The visit, which will take place in Indonesia's Jakarta and Bandung cities until Friday, is made at the invitation of Indonesian President Joko Widodo. Vietnamese Deputy Minister of Foreign Affairs, Ha Kim Ngoc, has confirmed the traditional solidarity between Viet Nam and African countries in the past struggle for independence and the current co-operation for development. The Deputy Minister made the statement at the ministerial-level Asian-African meeting that took place in the Indonesian capital city of Jakarta yesterday to discuss ways to increase co-operation between Asia and Africa. He agreed it was necessary to maintain Bandung principles, especially of respecting national sovereignty and territorial integrity, not using force, not exerting pressure, and solving international disputes through peaceful measures dictated by international law.